The 2017 edition was held on 21 and 22 March at de Flint Amersfoort. 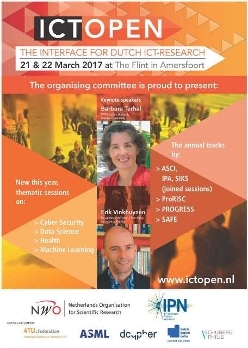 The ICT.OPEN event is organised annually by the Netherlands Organisation for Scientific Research (NWO) under the auspices of ICT research Platform Netherlands (IPN). We are looking forward to seeing you on 20 & 21 March 2018!